Why Adult Dating Sites Are Better Than Craigslist? In the online hook up world there’s adult dating sites and there’s Craigslist. You might not know which one to use so this article will help you understand the difference between the two. There are many reasons why you should choose adult dating sites instead so be smart about the choice you make and keep the following tips in mind. The main reason why adult dating sites are better than Craigslist is the quality of postings you can find. 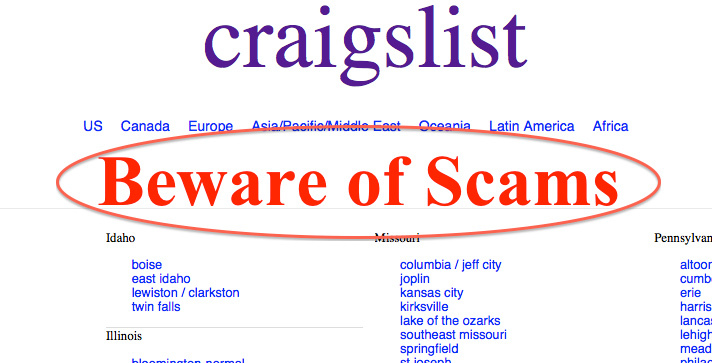 Craigslist has a reputation for being full of scammers and for good reason. Anyone can post on there and it only takes a few minutes to register. On adult dating sites people need to take time to fill out a profile and some require membership fee.s which scammers usually aren’t willing to go through. Adult dating sites rely on keeping their customers happy in order to stay in business so they’re more likely to have up to date security to weed out scammers. The information on adult dating sites is a lot higher quality than on Craigslist too. A quick look at the ads on their casual encounters section shows that most of the ads are posted without much thought. They’re usually only two or three sentences long and rarely have pictures included. On adult dating sites people have to fill out a profile about themselves, state what they’re looking for and upload a profile picture. This gives you a lot more information about a person so it’ll be easier for you to decide if you have anything in common with them. It lets you get to know them before contacting them which can give a sense of comfort instead of nerves from the unexpected. It’s also easier to search for the type of person you want on adult dating sites. They have filters and you can sort users by different criteria such as age, location or interests. On Craigslist you can only filter posts by gender and location. This can make your search longer if you’re after a certain type of person such as someone being in the same age range as you. On adult dating sites profiles stay up for as long as the poster decides to keep them up which will come in handy if you want to go back and message someone that you saw earlier. 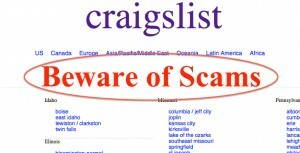 On Craigslist people are constantly posting and ads quickly get pushed off the page. This not only makes it harder for ads to get noticed but it also makes it harder to go back and find someone if you change your mind about getting in touch. People who post on Craigslist are looking for someone right now where as people on adult dating site are willing to wait until they find the right person for them before meeting. It takes time for someone to go to an adult dating site, fill out a profile and let people know that they’re looking for a special someone. On Craigslist anyone with two seconds to someone to post a quick little ad without being serious about it. When looking for someone to hook up with you want to find somebody that you can get a feel for and who is serious about meeting. Adult dating sites will always provide you with a better experience.